Soft beveled sash adds curb appeal. Fusion welded sash and frame for strength and durability. Factory assembled, reducing the possibility of air or water leaks. Continuous master frame on multi-lite units. Depending on the size, two, three or four keepers align the sash up against the frame tightly, ensuring security and a weathertight seal. Single-lever multi-point locking system provides security and an unmatched DP-60 Structural Performance Rating. 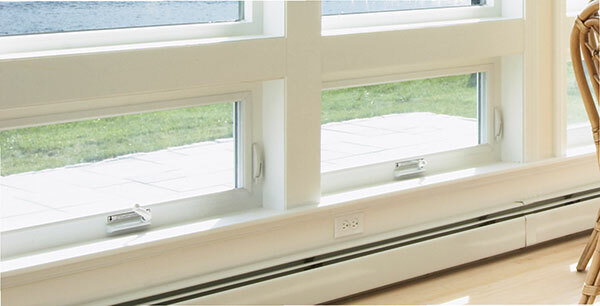 Stylish, fold-down handles offer a contemporary look with less interference with window treatments. Beveled exterior frame makes a stylish design statement.